Daydreams of Quilts: Last Day to Enter my Birthday Giveaway! Hi! 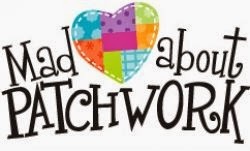 Just a quick reminder that today is the last day to enter my giveaway for $50 to "Mad About Patchwork". Use the rafflecopter in the giveaway post. :) Good luck!